KENNEDY SPACE CENTER, Fla. — The launch of a SpaceX Falcon 9 rocket with NASA’s Cargo Resupply Services 10 (CRS-10) mission is now targeted for Feb. 18. The launch of the cargo variant of SpaceX’s Dragon spacecraft is expected to mark the rebirth of one of KSC’s most iconic launch sites – LC-39A. Some 4,473 pounds (2,029 kilograms) of pressurized and 2,154 pounds (977 kilograms) of unpressurized cargo will be aboard the CRS-10 Dragon capsule bound for the International Space Station (ISS). It will take to the skies during an instantaneous (one second long) launch window. 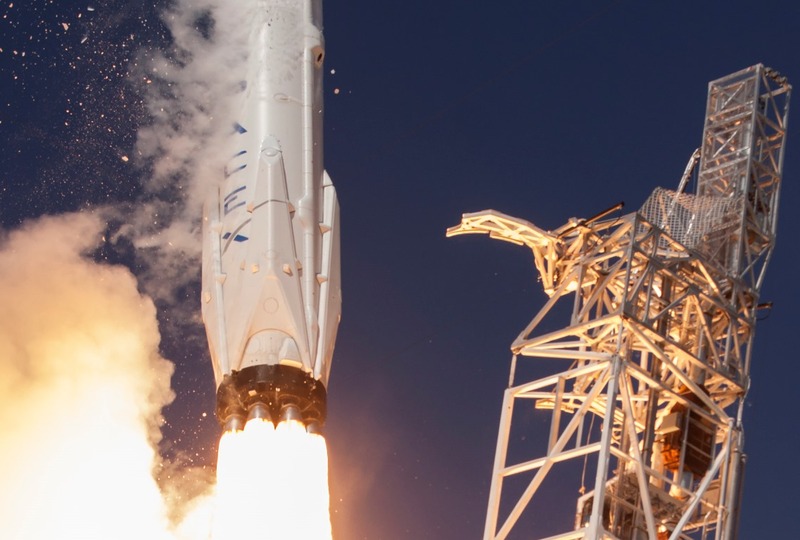 While any number of factors could have caused the launch to be set for this date, a report appearing on Universe Today suggests it was due to the mission having not received its Federal Aviation Administration (FAA) license. Previously, on Jan. 30, the NewSpace company decided to change the order of its launch manifest to move CRS-10 before to the launch of the EchoStar 23 communications satellite. This will be the first launch from LC-39A since the final Space Shuttle mission, STS-135, in July 2011. In 2014, the NewSpace firm signed a 20-year lease on the complex. Since then, it has been modifying it to be able to process and launch Falcon 9 and Falcon Heavy rockets. Changes to LC-39A include the addition of a horizontal integration facility (HIF), a rail system to carry rockets from the HIF to the pad, and a Transporter Erector (TE) attached to the top of the pad. CRS-10 will also mark SpaceX’s first launch from the East Coast since the Sept. 1, 2016, launch pad explosion at Space Launch Complex 40 (SLC-40) at Cape Canaveral Air Force Station just south of Kennedy Space Center. That accident saw the complete loss of the Falcon 9 launch vehicle, the $195 million Amos 6 satellite, and the destruction of much of the launch service equipment at SLC-40. On Feb. 8, 2017, the Center for the Advancement of Science in Space (CASIS) held a teleconference, during which it was stated that the launch would take place on Friday, Feb. 17. Shortly thereafter, SpaceX issued a tweet stating that they were targeting Feb. 18.